The Department of Defense Education Activity’s Teacher of the Year, along with other National Teacher of the Year finalists, spent a week touring the nation’s capital recently, a visit that included a chance to meet President Barack Obama at the White House. Daniele Massey, an Algebra I teacher at Vilsek High School in Germany since 2007, was nominated by 15 of her colleagues and three parents. Massey uses what she called a “flipped classroom.” Rather than the traditional lecture during class time, Massey and a colleague produce lectures on a website for students as homework, she said. In the classroom, students work on algebra problems with Massey close at hand to help as needed. Massey said the technique works well for students and teachers who were frustrated with the traditional learning process. “We really promote it,” she said. “I try to make algebra based on real-life problems,” she said, adding that her teaching system also allows her to fill in gaps with military students who moved to Vilsek in the middle of the year and might need to catch up. While here for a week, Massey and the other finalists toured the city and visited memorials, museums, the Pentagon, DODEA headquarters and the home of vice president at the Naval Observatory. “I kept thinking, ‘This is where everything happens,” she said. Her husband, Army Maj. Adrian Massey, with the Army's 69th Signal Battalion in Grafenwohr, Germany, was able to come along with her. The highlight of her trip, she said, was going to the White House on April 23, meeting the president and receiving her award from him. She also got a presidential coin for her husband. “Going to the White House was very humbling,” Massey said. Massey was among 54 finalists on the trip, one each from every state, DODEA, the North Marian Islands, American Samoa, and the District of Columbia. Jeff Charbonneau of Zillah, Wash., was honored as National Teacher of the Year at the White House ceremony. Now in its 63rd year, the Teacher of the Year competition is sponsored by Council of Chief State School Officers and the Education Department. 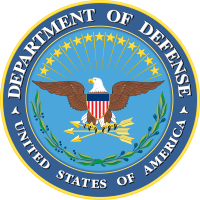 DODEA manages schools for military children and teens who live overseas or at U.S. military bases in the United States that have schools in the system. It also supports some 1 million military-related students who attend U.S. public schools.